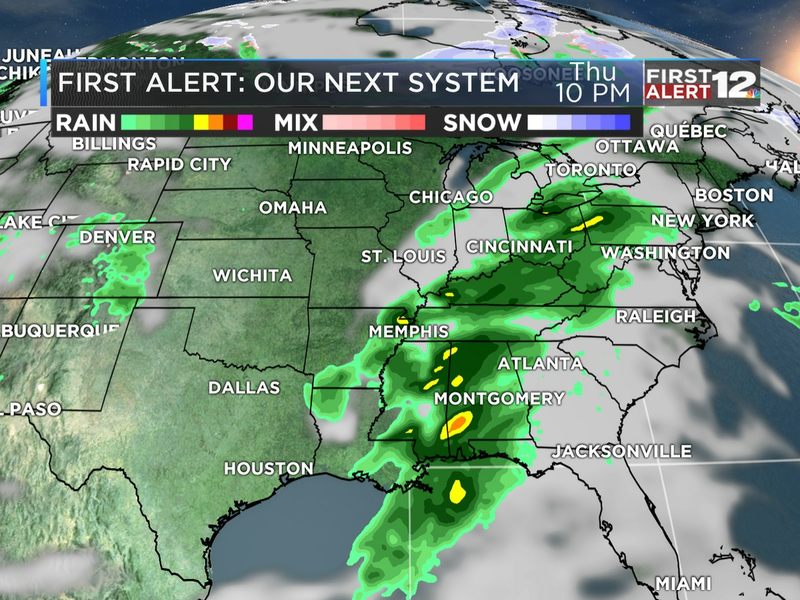 MONTGOMERY, AL (WSFA) - Get ready, the next few nights will be cold around Alabama! A clear sky and calm wind will mean perfect radiational cooling conditions across Alabama; this will allow temperatures to plunge into the upper 20s and lower 30s tonight. Tomorrow night will likely be a couple degrees colder, as high pressure settles into the Southeast. The afternoons won’t be warm, either, with afternoon temperatures warming only into the upper 40s to mid 50s for the next few days. 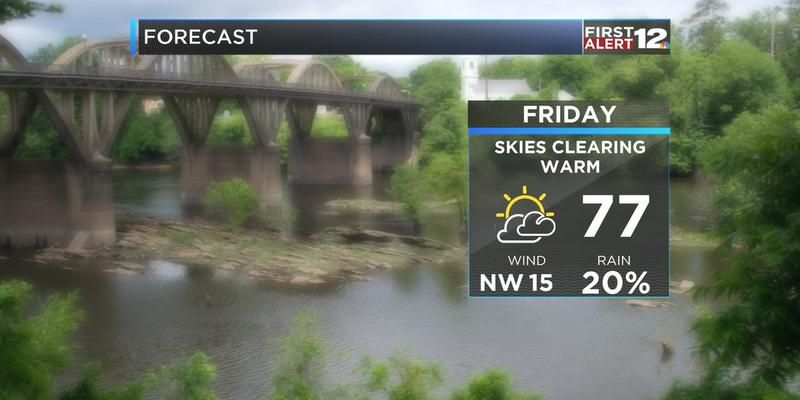 Alabama stays dry through Friday afternoon, but the weekend looks wet. REALLY wet. As Saturday progresses, heavy rain will overspread the state from the west. 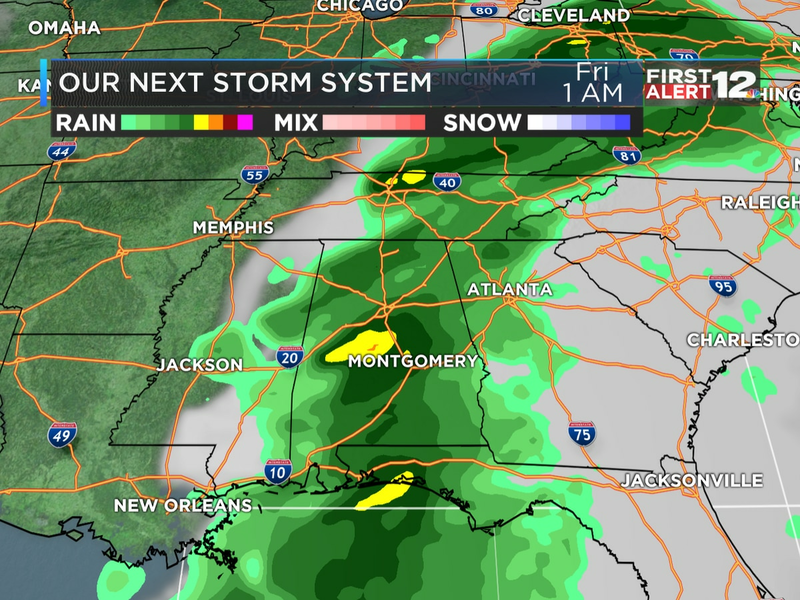 By Saturday evening, most of the state will likely be feeling a cold, soaking rain. The rain lingers into Sunday, then we turn colder and drier early next week, with highs dropping back into the upper 40s and lower 50s and overnight lows returning to the low and mid 30s.